Michael Rangel brings his magic to The Arsenal. Magic can seem a lot more magical when you’re buzzed. You can see for yourself tonight. For those who haven’t been able to get into the exclusive Magic Castle–or don’t want to deal with the dress code or eat a tough steak–there’s a much easier way to have drinks and enjoy some sleight-of-hand. 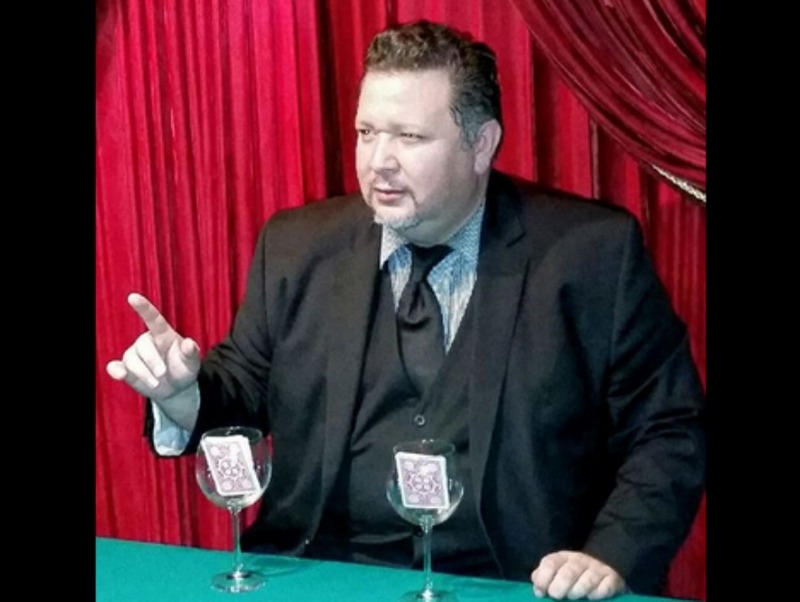 Magic Castle performer Michael Rangel, whose repertoire has included card tricks involving wine glasses, is putting on a free show at West L.A. bar The Arsenal tonight and every Thursday from 7 p.m. to 9 p.m. Specialty cocktails at The Arsenal include The Hammer (Hendrick’s gin, muddled cucumber, and fresh sweetened lemon juice), The Sassy Greyhound (Tanqueray gin and grapefruit juice with fresh muddled serrano chile), Modern Moonshine (Buffalo Trace clear corn whisky, cilantro, cucumber, serrano chile, and lemon juice), and the Organic Basil Lemonade (Square One basil vodka, sweetened lemon juice, muddled cucumber, and a splash of soda). There are also craft beers on tap and California wines by the bottle, along with a gastropub menu featuring poutine, burgers, and fried Oreos. Gut-busting food can also seem a lot more magical when you’re buzzed. Happy hour goes from 5 p.m. to 7 p.m. if you want to get a head start.